General children from any generations usually think that mathematics is a difficult subject and most of them failed on that subject. If the children face difficulty in math, parents usually hire a tutor to help them. However, hiring a tutor can be a wonderful or painful experience and also an expensive experience. Before hiring a tutor, parents should know whether the children really need a tutor or not. Parents are surely familiar with the obvious signs such as falling grades on the report card or personal assignments. Sometimes children also change attitude when having difficulty in math. If your children usually love math but suddenly hate it; this is an obvious sign that they experience difficulties. Also, you should also talk to your children if you intend to hire a tutor for them and they agree to it. For math tutoring, you cannot just pick anybody to teach your children. 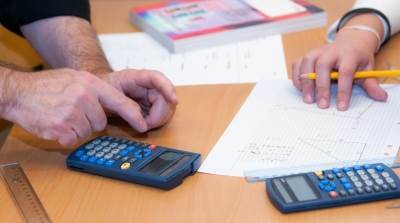 Here are some tips on hiring a great math tutor. Look for a tutor who master math – no matter the grade of your children; it is better to find someone who actually masters mathematics. There are indeed plenty of assignment help tutor but a special mathematic tutor commonly has depth knowledge about the subject. A math tutor can help your children understand the basic concept that holds them back. Get the match schedule – whether you are hiring an online tutor or not; the most important thing is to get a tutor which can match with your children schedule. For online tutor, if you are hiring someone in different time zone, it is better to make sure that his/her schedule match with your children. Credible tutor – make sure that the tutor you are hiring is credible or, at least, she/he has a relevant education background. Also, she/he should be able to explain the basic concept and explore the subject instead of problem-solving only. Children need to be explained the core of the problems so that they can also figure out the solution. It makes them think more creatively and does not rely on much to the tutor to solve the problems for them. Moreover, make sure to choose a tutor who can communicate well with your children. The teaching style and method in explanation of a tutor may be different from the school teacher, however, as long as he/she can communicate with your children is the important thing. Get reference – it is better to make some quick search before choosing one tutor. If you have time, a quick background check on the education and experience is also a good step. You can also ask your children’s teacher or counselor for the credible math tutor recommendation. Moreover, you can also ask your neighbors and friends for a recommendation. A retired teacher in the neighborhood may be able to help you out. Consider the price – hiring a tutor somehow is not a cheap thing, however, the most important other than pricing is the quality. Make sure to choose a tutor with good quality and of course, the one who suits your budget limit.